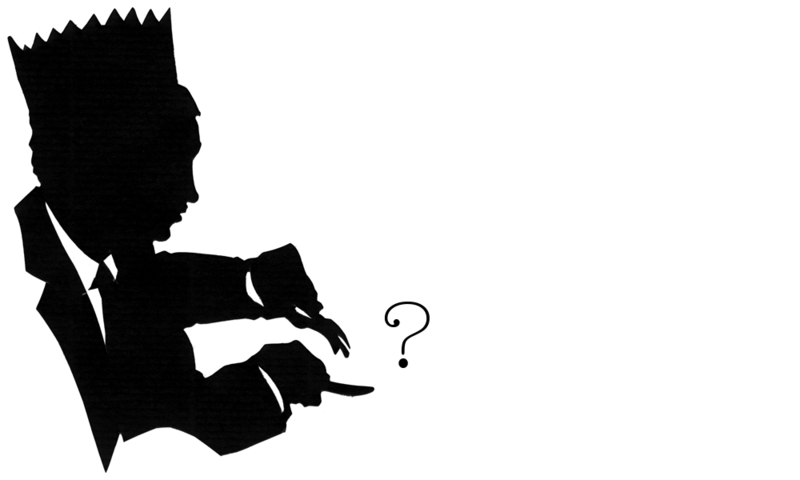 ERE YOU LUCKY enough to have a silhouette cut recently at some event or other? If so, you may be wondering how to get silhouettes done of the rest of your family. For postal silhouettes of small family groups the best option is to arrange a video sitting using an online service such as Skype or FaceTime. For larger groups, for instance if you are able to get together with other families and arrange a silhouette party, you can book either Charles or Mike to make a home visit. This is a really fun way to have your silhouettes made. The fee includes as many silhouettes as can be done in the time available and worldwide delivery. A video link gives the artist a live sitting, wherever you are based, and can be easily set up using a service such as Skype or FaceTime. Live sittings are important. They give the artist a better impression of the way you sit and move, giving consistently better results than working from photographs. They also allow you to see the silhouettes as soon as they are made! If you are not sure how long you need, please do get in touch and ask. The TV documentary Silhouette Secrets is now available as either a blu-ray or DVD. 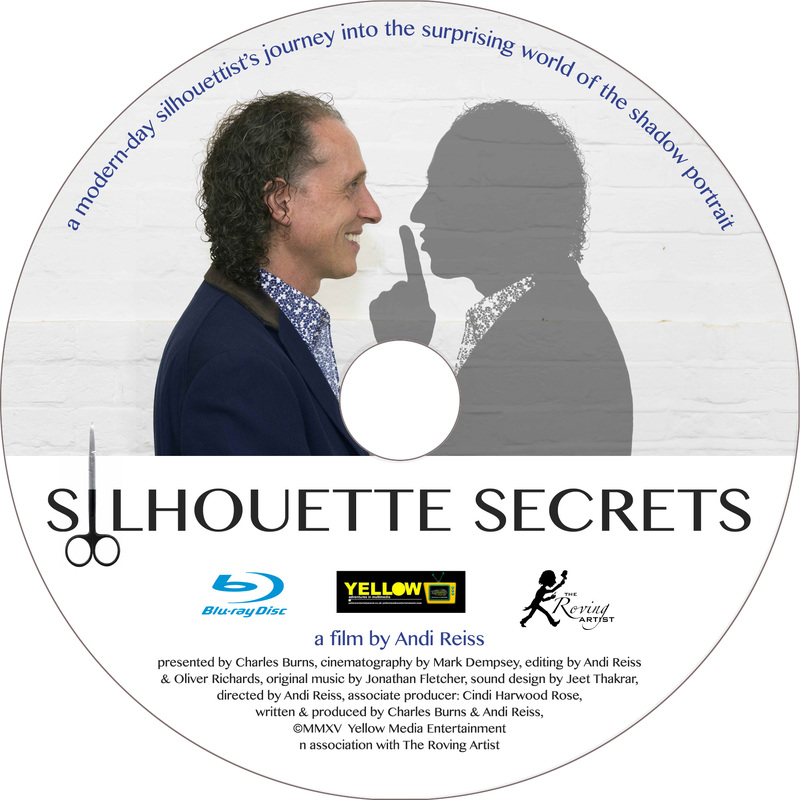 This light-hearted film tells the story of Charles’ attempt to break the world silhouette speed-cutting record, and includes entertaining and thought-provoking insights into the history of this forgotten craft. The blu-ray version is slightly better quality. Both will look identical on most TV sets and computer screens, but you might notice the difference on a home cinema. Some platforms (notably early DVD players and Apple computers) cannot play blu-ray discs, so if you are unsure about this you should order the DVD. More information about the film, is on the Publications page. 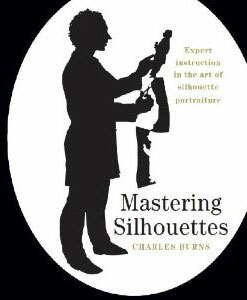 A limited number of signed copies of Charles’ 2012 publication ‘Mastering Silhouettes’ are still available.This is the UK edition. The book features a series of projects for creating your own silhouette portraits, together with a wealth of historical background, illustrated in colour throughout. The author is happy to add a personal inscription if you wish. More information about the book, with some sample pages, is on the Publications page. If a video link is not practical for any reason it is possible to make postal silhouettes from a photograph. Please bear in mind that much depends on the quality of the photograph. It is not always possible to obtain the same likeness as from a live or video sitting, but we always do our best with whatever you can send. It is important that the photograph be an exact profile, showing the whole head and shoulders, including any long hair. Please order the number of silhouettes you need from this site and send photographs by post or email. We will get in touch to confirm the photographs are OK and give you an idea of delivery date. How will you send the photo? It is usually possible to order these after the event as well, even many years after! We need to know the date of the event and whether it was Charles or Mike (or both) who attended. The fee includes locating and scanning the silhouettes, then arranging them in Photoshop and sending a proof by email. This is quite time-consuming, so you should allow 3-4 weeks for delivery. Most people order them beforehand, but they can be ordered after the event. Charles keeps the negative silhouettes as a matter of course. If you booked him for an event years ago and would like him to search the archives you can order a print from our online shop. If, for any reason, your event is not available you will receive an apology and an immediate refund via Paypal.